Momma Told Me: There's no season for common sense. While many of my friends and family are springing last minute dinner invitations on me, and making extended vacation plans, thanks to their generous IRS tax refunds, I had the pleasure of paying taxes this year. Those of you familiar with me know I would never be caught unexpected in a large debt, so I naturally have been stuffing 'tax money' away all year from my at home income. However not everybody is as prepared as Momma raised me to be. 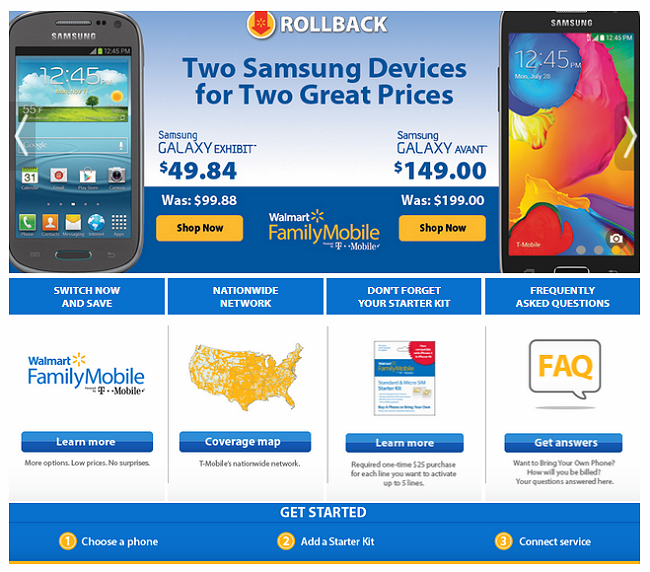 One of the ways we saved money last year was through our amazingly convenient and affordable no-contract smartphone service with Walmart Family Mobile. For year we had wanted modern smartphones to help us multi-task with our busy careers, but found the data costs and hidden fees could be overwhelming. When I signed up for Walmart Family Mobile I was sure to tell all of my friends and family. Not only was it such a painless process (I could shop the latest smartphone handsets at great prices while picking up the groceries at my Walmart Supercenter) but the rate structure was easy to understand and more than affordable. For a long time Jay envied my smartphone device until, at last, he made the switch with a brand new Samsung Galaxy S4 and unlimited talk, text, and data/web last Fall. 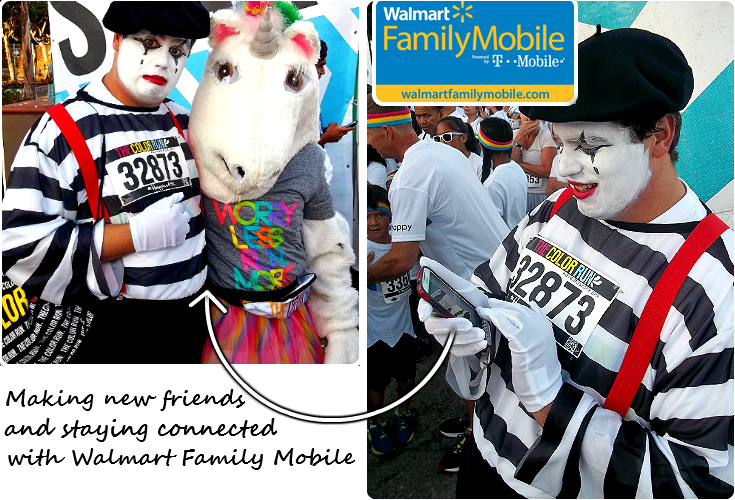 Walmart Family Mobile proved revolutionary to our family, in 2013 we couldn't even dream of owning such new devices with 4G support, and in 2014 we were able to connect with friends and family unlike ever before thanks to our Galaxy smartphones and Walmart Family Mobile. Unfortunately, the service and phone were almost too good- Jay found himself relying on the clear 4G coverage and smartphone's capabilities even more than his work handset. 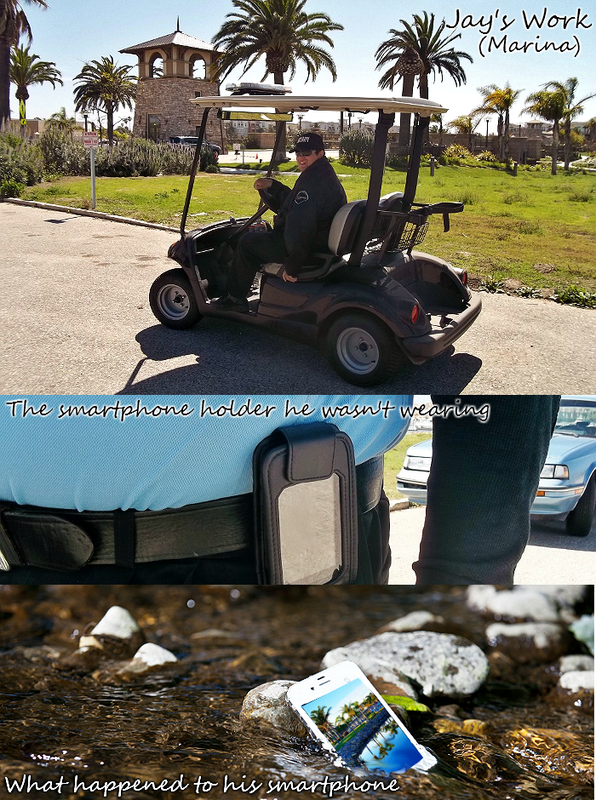 Not only could the device multitask and organize his work tasks for him, but it proved to have the stable bars he needed to stay in contact with his boss while patrolling the marina (a reminder that he works private security.) Then, one day, not wearing the belt clip phone case we had picked up for him at Walmart, his fairly new and shiny Galaxy S4 went tumbling off the docks and into the fairly deep bay waters below. While it was not my phone, I was devastated to see such a shiny new device lost. With tax time around the corner Jay was expecting a refund, but fairly limited in current cash flow. 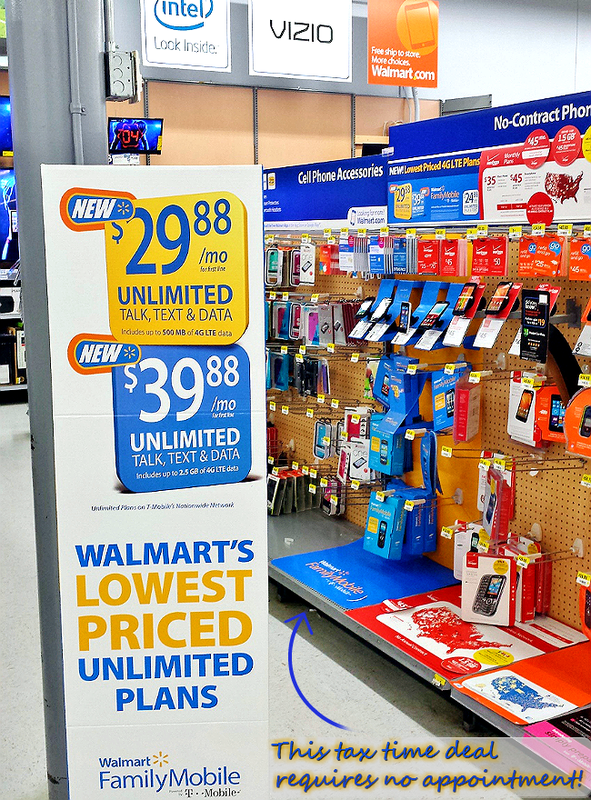 We headed to Walmart to pick up an affordable 'frills free' smartphone handset for less than $50. The Samsung Galaxy Exhibit was still a name brand smartphone with many modern features but a lot less of a gamble should it go tumbling into the marina at work. We also switched him over to the new $29.88/month (for the first line) unlimited talk/text/data plan with 500 MB of 4G LTE data, so he could put a little extra away each month while he saved up for his replacement Samsung Galaxy S4. Of course he fully planned on putting some of that nice tax refund money towards his replacement handset too! 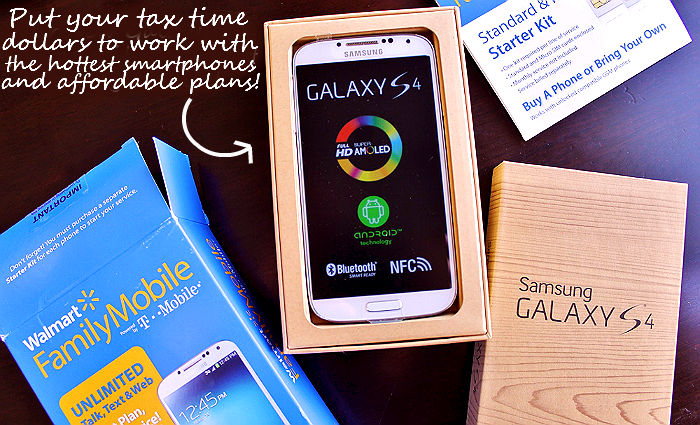 Smartphones can be an investment but your smartphone 4G LTE plan doesn't have to be one. 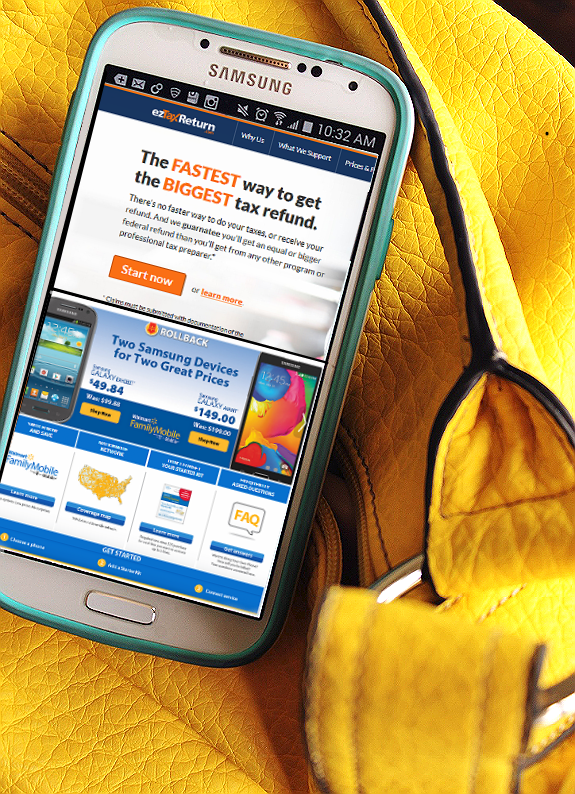 Lock in unbelievable low month to month rates with Walmart Family Mobile and put your tax refund to good use. Or, if you're like me and paying the IRS this month, shave a few pennies off your smartphone budget with the amazing $29.88 (first line) Unlimited Talk/Text/Data 4G LTE plan at Walmart. Best of all, you can walk into any local Walmart Supercenter today and set up you new smartphone and Family Mobile service in just minutes for instant gratification. 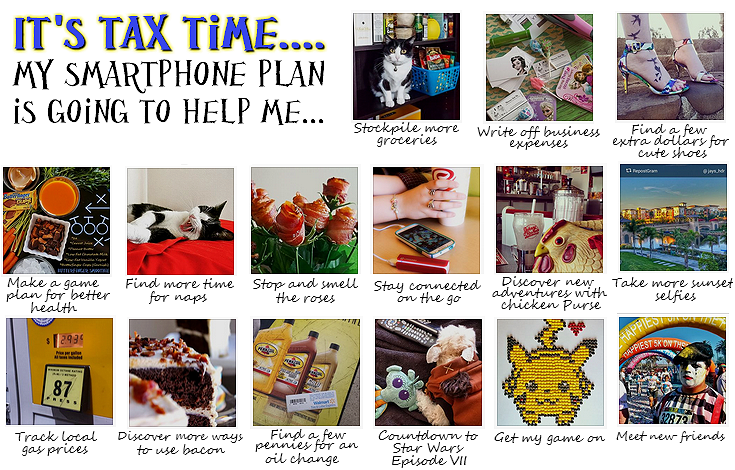 What are some ways you're planning on putting your tax refund to good use this year? What Daughter Says: Whether you're getting money back, or shelling it out, be kind on your wallet all year round with affordable smartphone 4G LTE plans from Walmart Family Mobile. I am a FORMER iPhone lover. I have Samsung Galaxy S4 now and LOVE it! I would never EVER go back! Android phones are great but Samsung is the best! It's full circle for me since my first EVER cell phone was Samsung and I Ioved it too! How much is the Galaxy s4 there? I have an s3 currently and am sorely in need of an upgrade. I did try out the Avant ($149) and it's a great phone! Hi Elizabeth- You can get an S4 mini unlocked through Walmart.com for $255, or the full S4 for $449. I looked at these but alas, no coverage in the boonies. It's great you were able to find something to replace the diving phone. My hubby is good at leaving things in bodies of water. Walmart sure does have great deals! I've heard great things about the Samsung S4's. It makes me want to try it out! Sounds like Walmart has some great options. Too bad about hubby's phone. I'm up for renewal right around tax time so this is a great reminder for me to check out my options at Walmart too! Those are some great prices! I feel like I am the only one left who has never owned a smart phone. Even the elementary kids at the school where I work comment on how outdated my phone is. Maybe 2015 will be my year to upgrade. Their plans are awesome. I am so wishing they covered our area and hope it will happen soon. I'd love to shave $70 off my monthly expenses between 2 phones. I love how affordable their plans are! I have teens and multiple lines add up fast!